I had the kids out on a field trip last week. 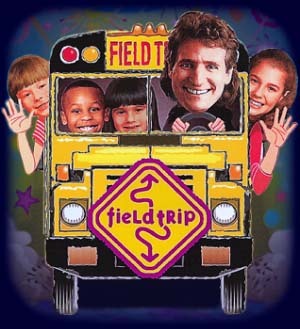 "Miss," one of them said to me, "why is it called a field trip if we never, ever go to a field?" He wasn't kidding, so part of our transportation time was spent explaining the broader meeting of "field." I do like field trips, though, generally speaking. I like museums and parks and such, and for kids born and raised in New York City, many of our students have never experienced some of the city's great cultural institutions. And we're lying if we say we don't like getting out of the classroom now and again ourselves. Plus, you get to see a whole other side of the students. One of my more rambunctious boys, for example, showed a great deal of focus and patience during a challenging game, coaching his teammates (including me!) with warmth and positivity. We talked about subway etiquette (today's post image notwithstanding--no "cheese buses" for the high schoolers, please! ), and a few of my young men gave up their seats for older women. We made sure to clean up our tables to pristine condition after we ate pizza for lunch. It's all about sending a good impression when you're with 100+ teenagers, who can to the general public sometimes seem like one giant loud messy mass. Field trips are a great occasion to educate the whole student and bond as a class. Don't overlook them in your plans for the year. And as the weather gets nicer and principals are itching to spend, spend, spend before the DOE takes the money away, maybe it would be a good time for you to plan a quick trip. May is a very long month.